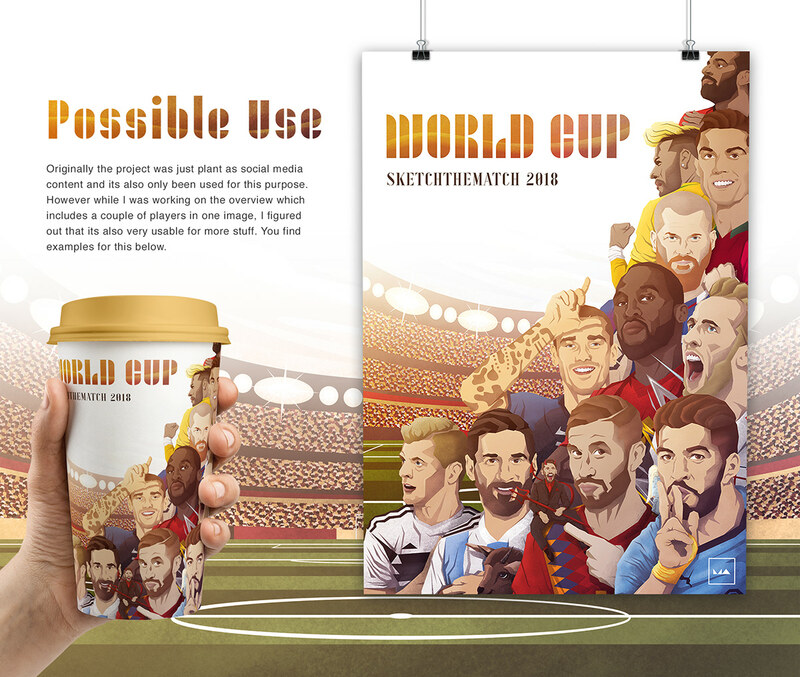 Based of the official World Cup 2018 Design, especially the posters, the illustrations should have a little vintage touch. 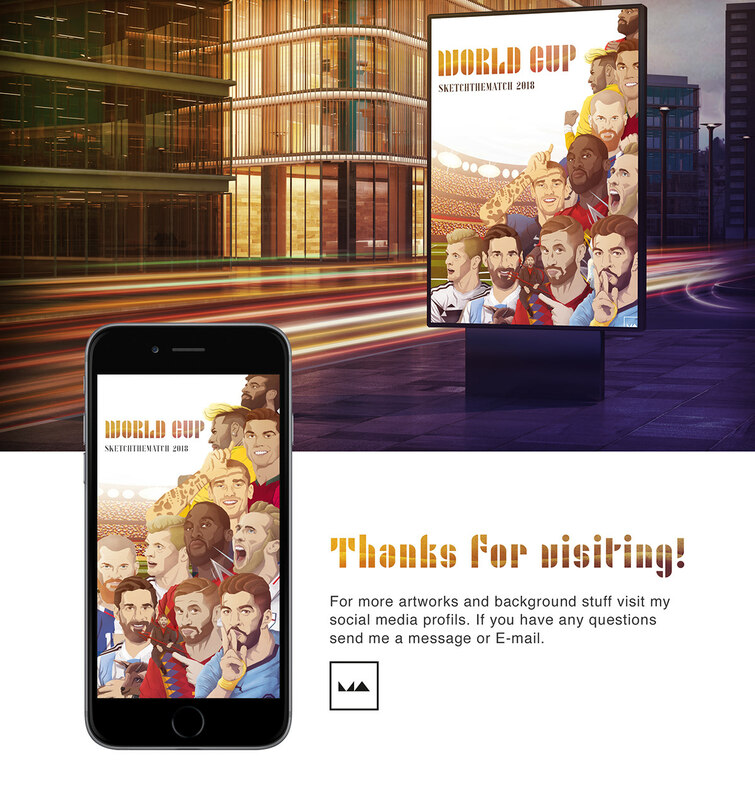 So I decided to use a kind of flat design illustrations, create in Adobe Illustrator and overwork them in Adobe Photoshop with some of Kyle T. Websters brushes and a couple of gradients. 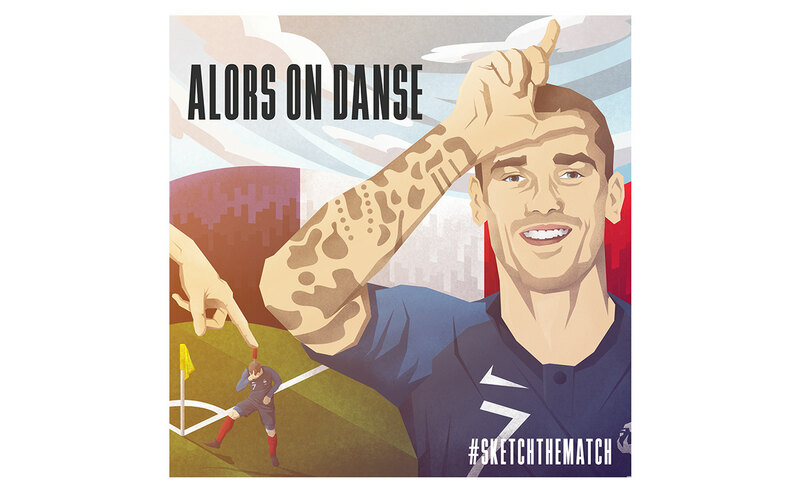 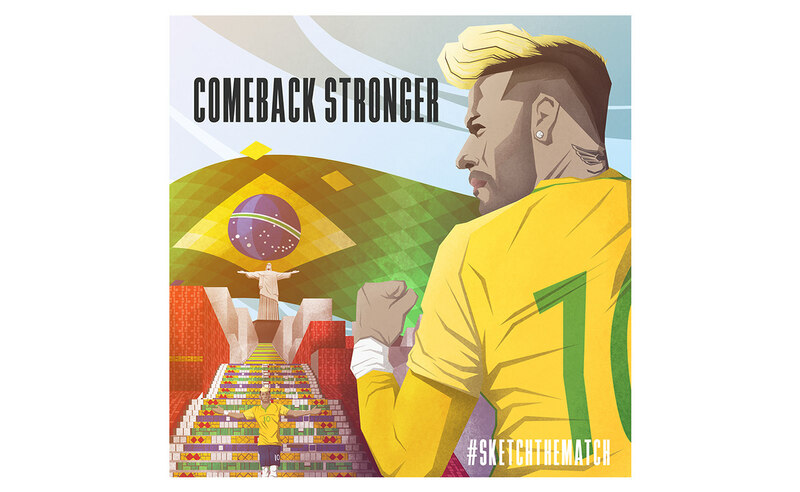 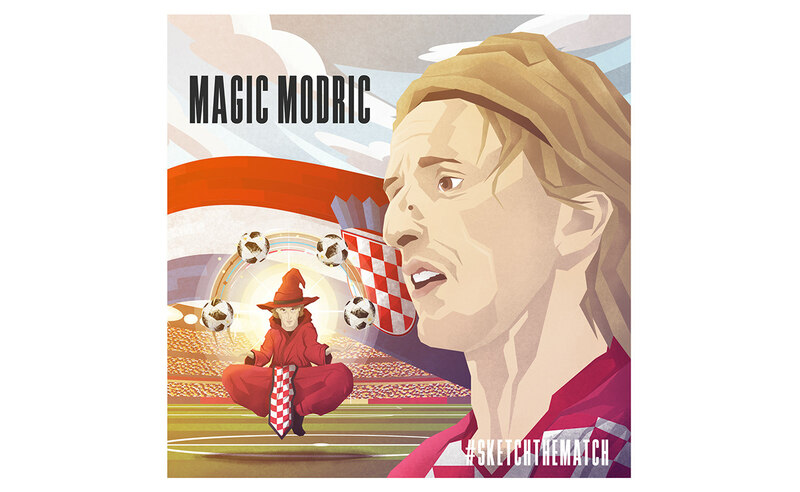 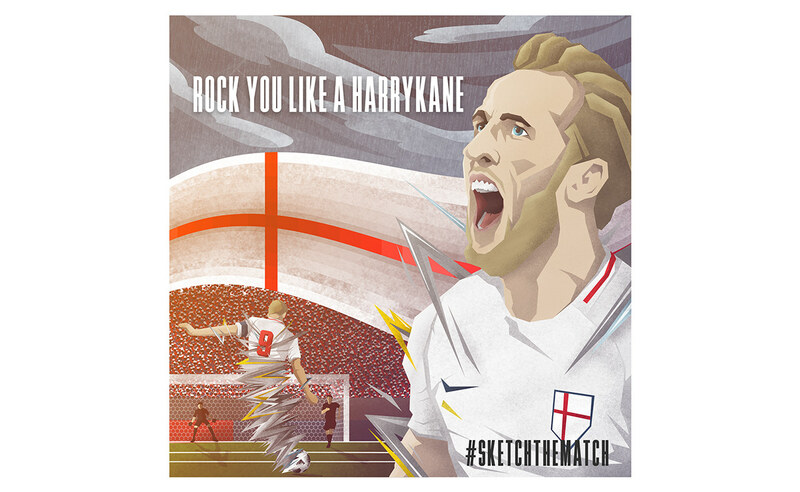 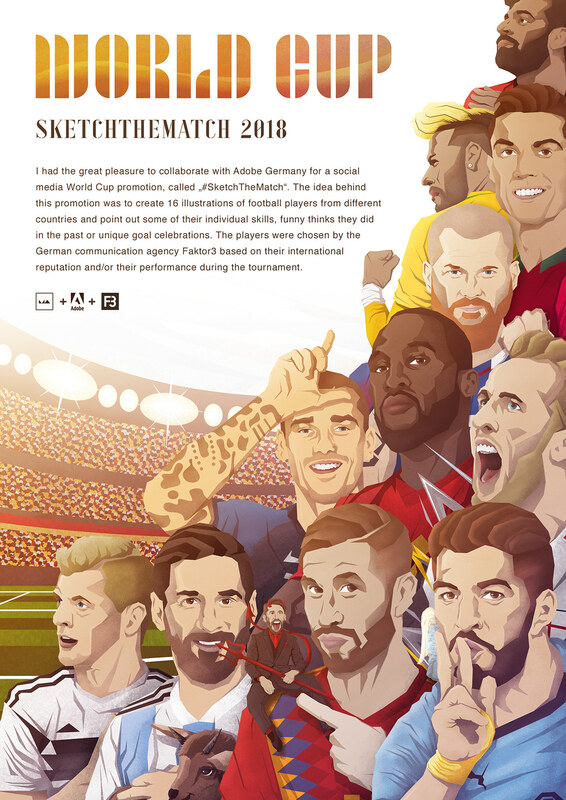 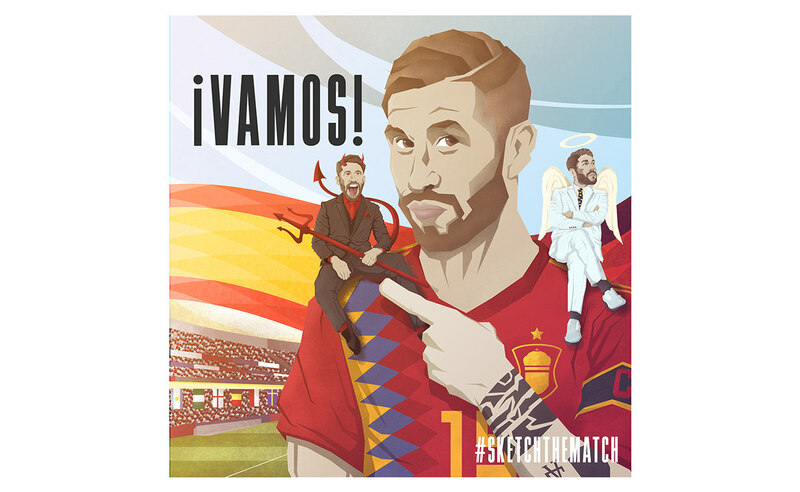 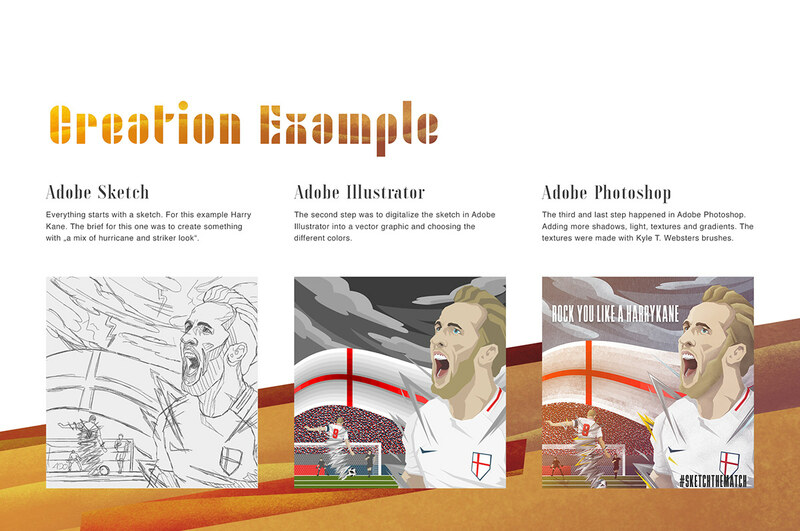 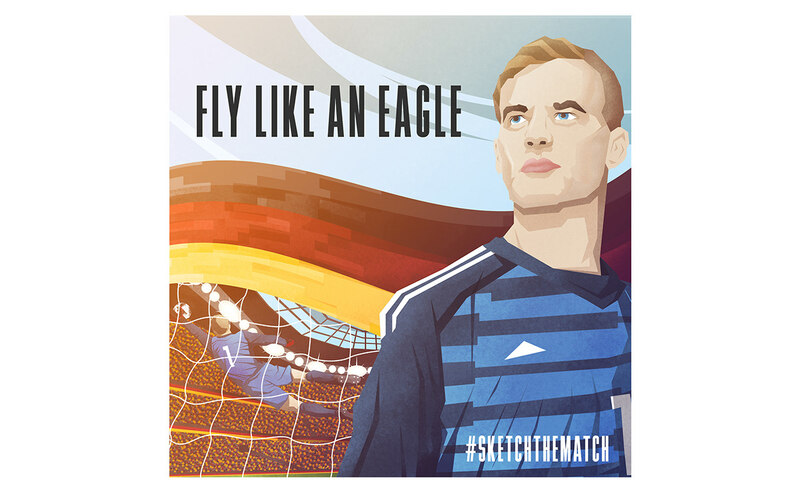 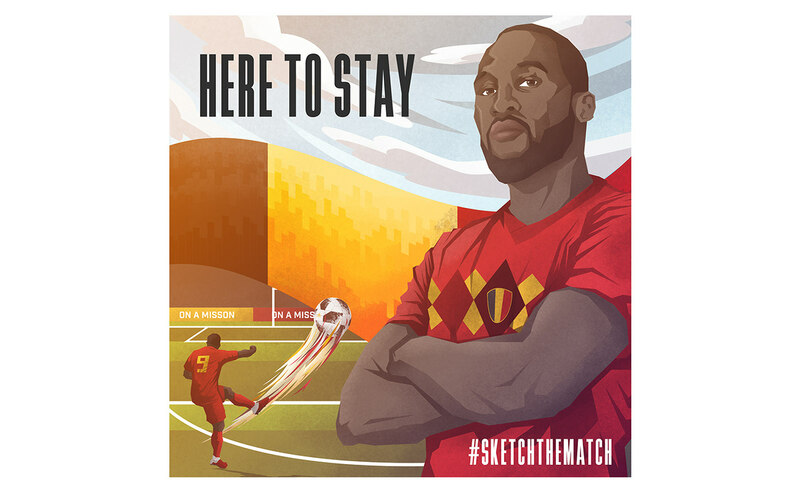 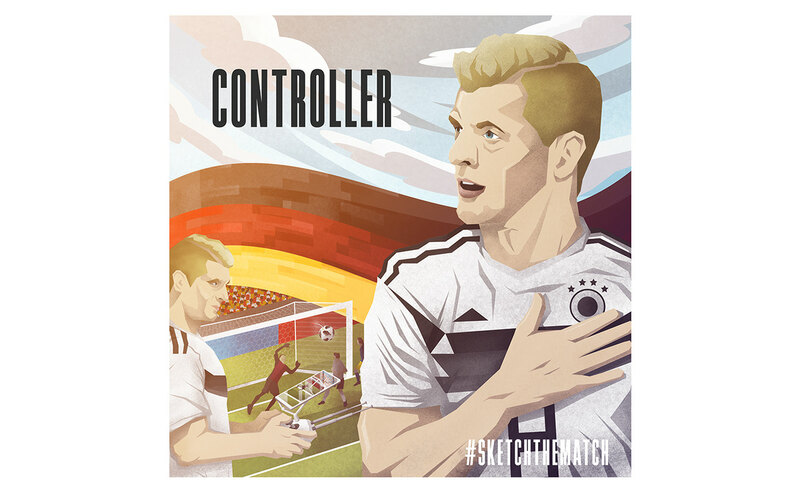 I had the great pleasure to collaborate with Adobe Germany for a social media World Cup promotion, called „#SketchTheMatch“. 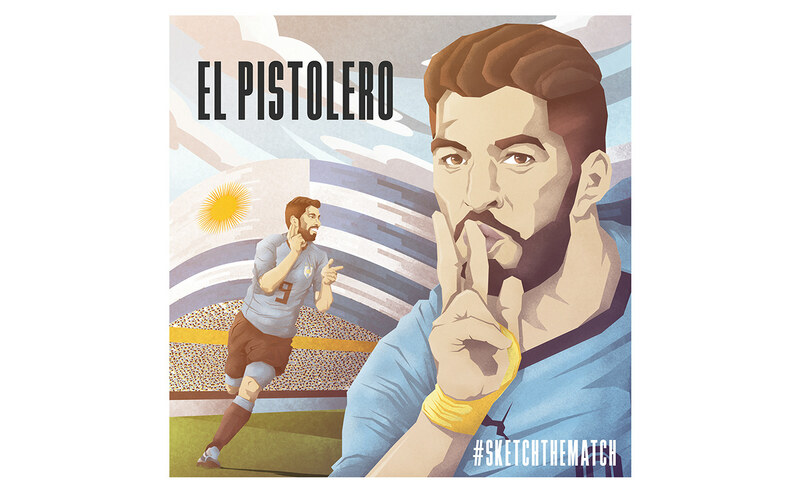 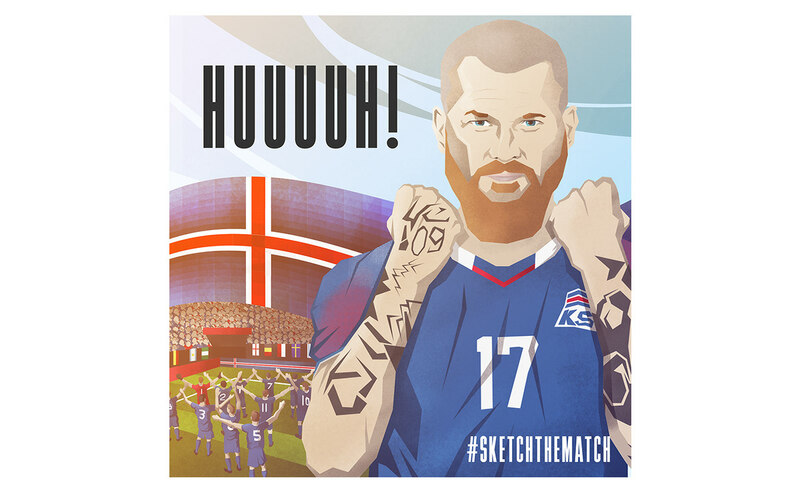 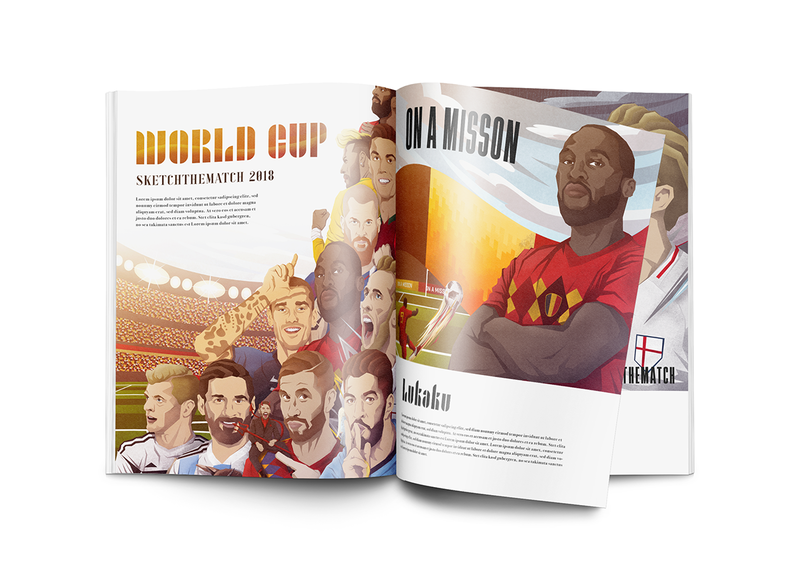 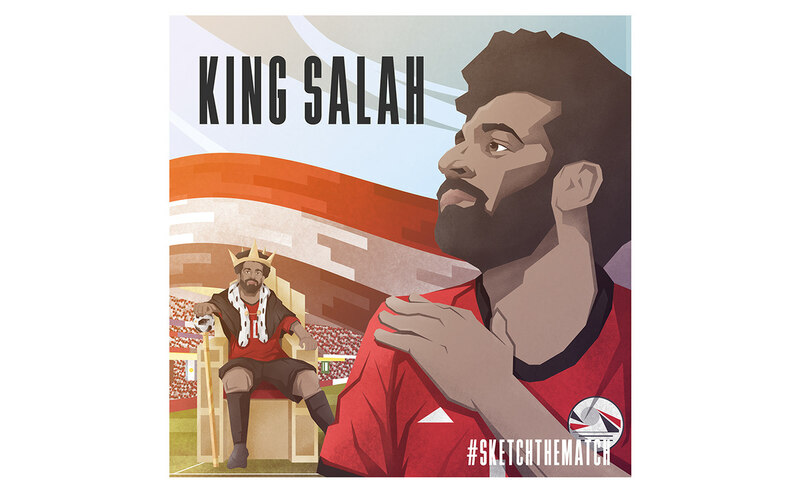 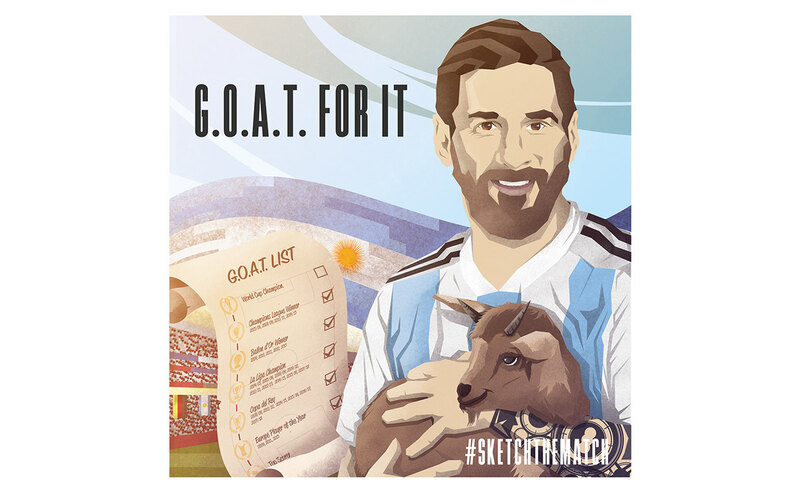 The idea behind this promotion was to create 16 illustrations of football players from different countries and point out some of their individual skills, funny thinks they did in the past or unique goal celebrations. 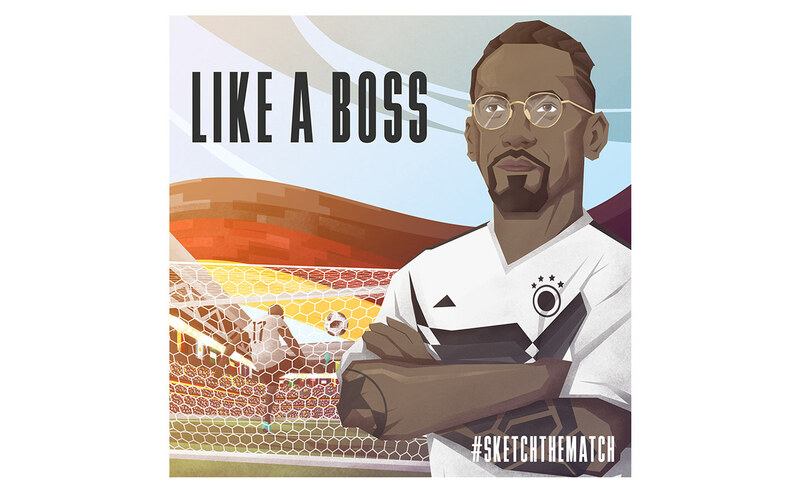 The players were chosen by the German communication agency Faktor3 based on their international reputation and/or their performance during the tournament. 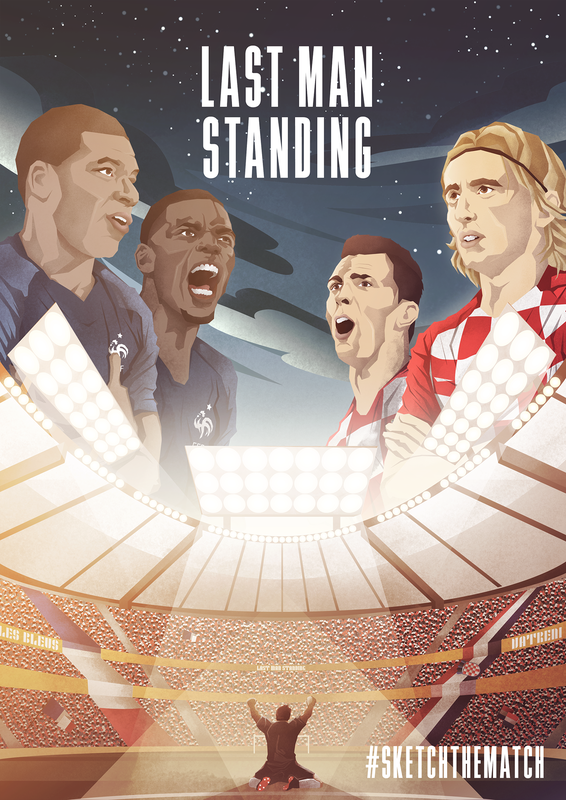 Based of the official World Cup 2018 Design, especially the posters, the illustrations should have a little vintage touch. 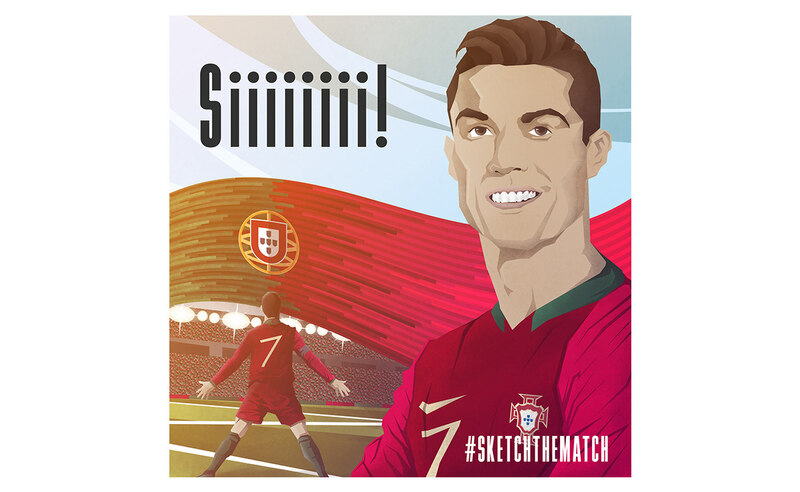 So I decided to use a kind of flat design illustrations create in Adobe Illustrator and overwork them in Adobe Photoshop with some of Kyle T. Websters Brushes and a couple of gradients.